I haven't been writing much recently, but I have been reading a lot of comics, so I thought I'd throw myself back into things by talking about a few recent comics. 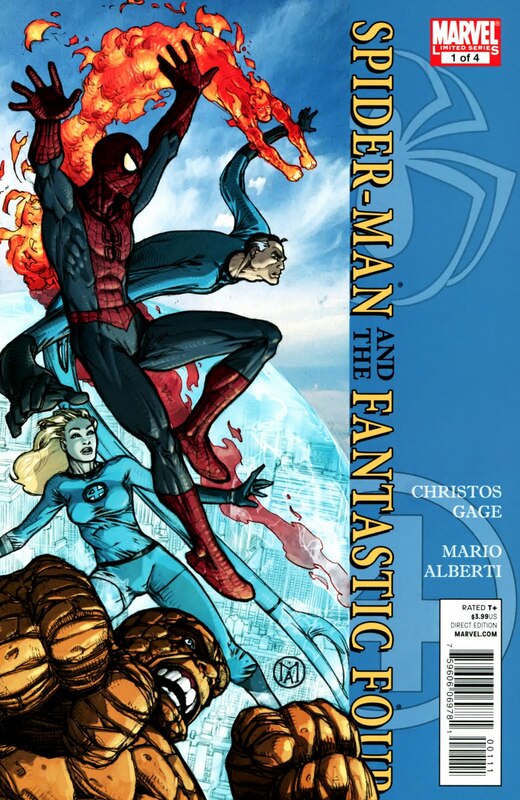 I wrote about X-Men and Spider-Man, the previous series by these two creators, here. This is pretty much the same thing as last time: each issue takes place at a different point in Marvel's history, the heroes in the title fight a bad guy, and slightly intriguing overarching plot ties it all together. 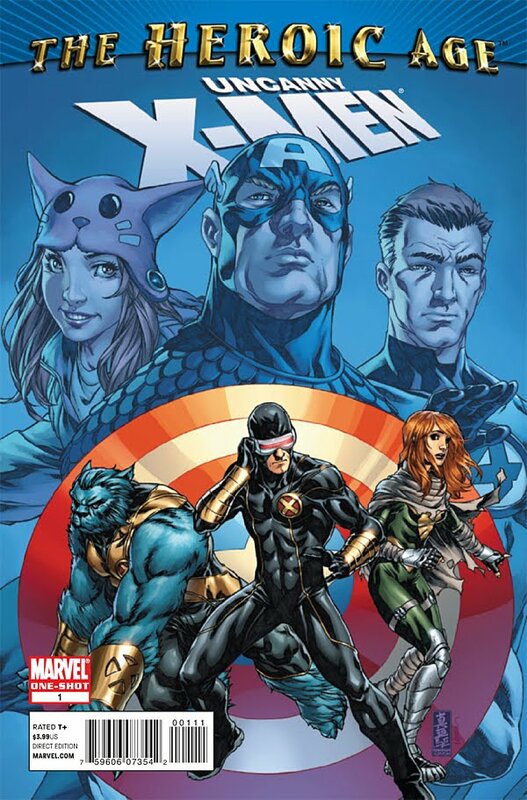 Unlike last time, the X-Men are swapped out for the Fantastic Four, and this means that I am less interested in the characters and have less knowledge of their history, so the plot feels pretty insignificant. Doctor Doom pops up, of course, although maybe because I haven't been reading Fantastic Four comics for my entire life, I enjoyed seeing him. 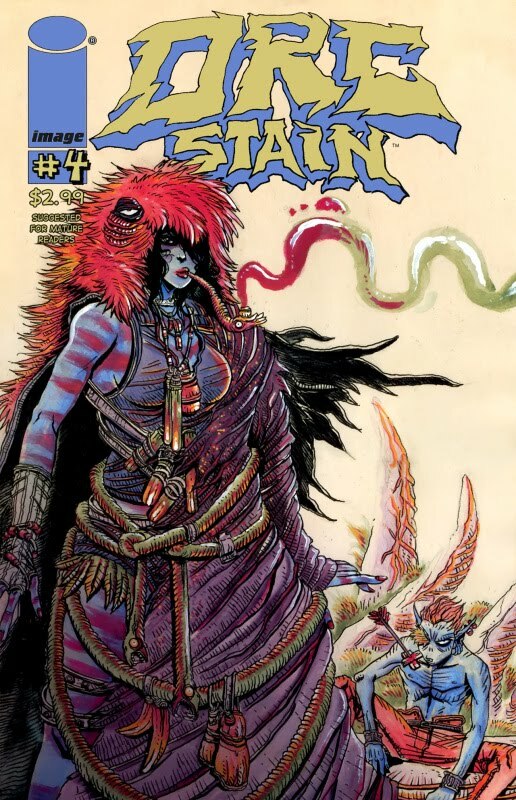 But the only real reason to read this is for Alberti's art, which really is quite beautiful stuff. 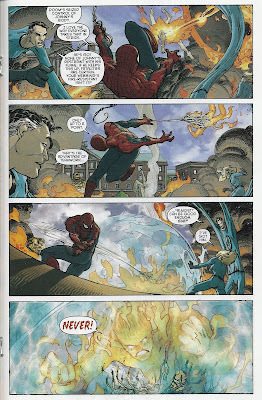 Unlike most of the factory-line art produced by Marvel and DC, Alberti pencils, inks, and colors it all by himself. Everything is swooping and dynamic (which is perfect for Mr. Fantastic) -- it looks like the guy really enjoys drawing. 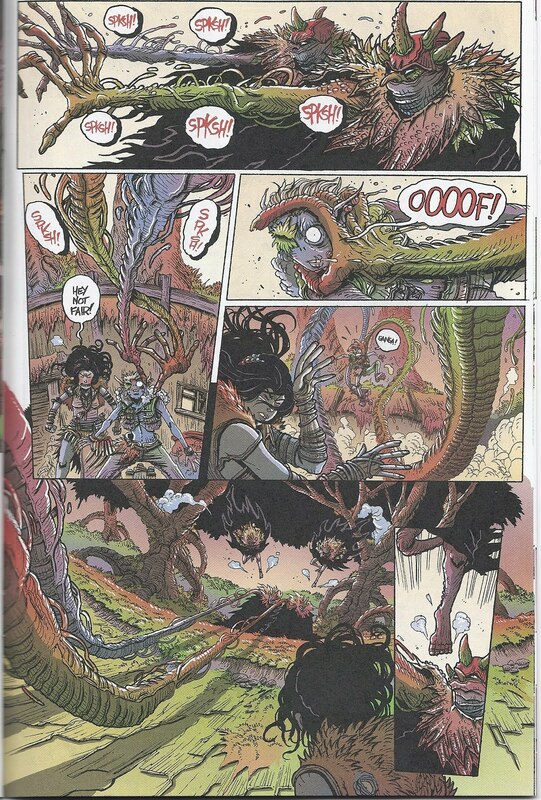 Speaking of somebody who seems to be having fun, James Stokoe is ripping off one great issue after another with this series. 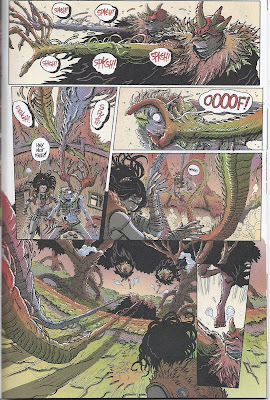 Stokoe's colors in particular make this book feel different than everything else on the shelves; the bright reds and greens just make you want to stare at the pages. I want this series to continue forever. What? Really? What twelve year old doesn't understand what extinction means? Kids learn this when they are interested in dinosaurs, when they are four or five. Molly comes off as a complete idiot. And why does Beast stammer when trying to explain the concept? Beast is supposed to be a genius -- how does he not have a quick answer? This just ends up being Fraction's way of ramming the theme of the book down the reader's throat, because it leads into a discussion of mutants, and whether they are becoming extinct, yadda yadda. So on top of being stupid, it's heavy-handed. And I'm sorry if I'm coming off like some X-Men nut who wants everything to look just perfect, but Beast is wildly off-model here. And I'd be okay with that -- I'm all for people putting their own look on characters, but this Beast just looks like an absolute ninny. Who wants to spend any time reading about that guy's adventures? 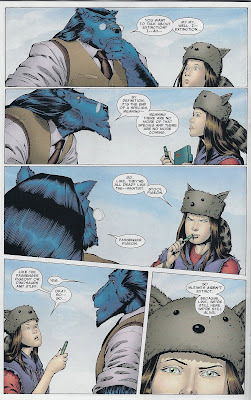 (On this episode: Beast loses his pocketwatch!) The third story is drawn by Jamie McKelvie, who gets a lot of love on the internet for being involved in the Phonogram series that he did with Kieron Gillen. 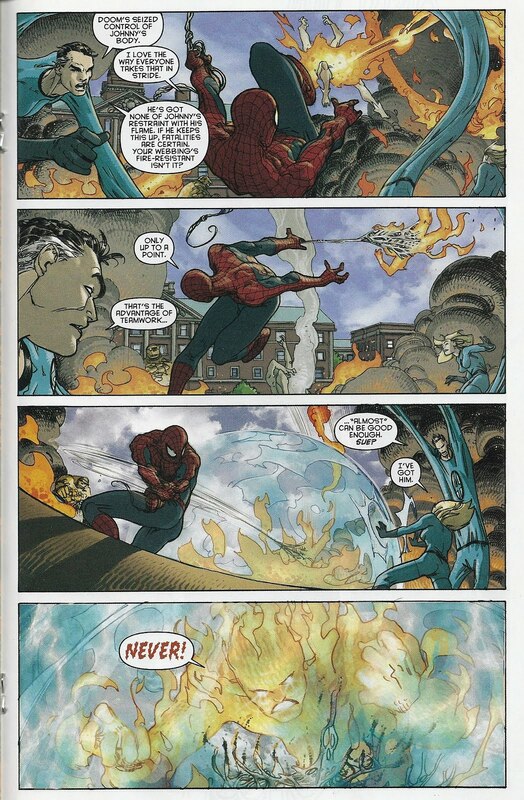 His art is fine, although it feels a little out of place in a super-hero comic. Just a little too quiet and restrained, maybe. I don't really have any complaints about that story. 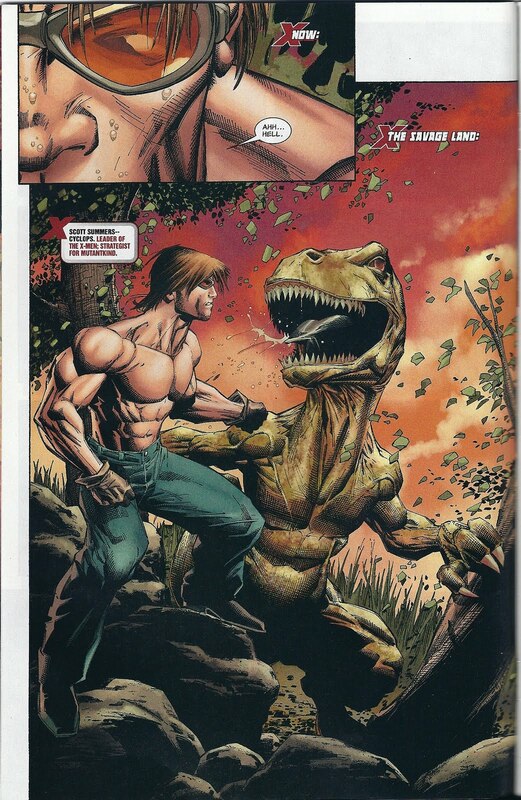 Anyway, yeah, didn't like this comic. I wish I hadn't spent money on this. Here's another comic that didn't really do it for me, unfortunately. McCarthy's been talked up a lot on the comics websites that I visit, but I'm not really loving his work. 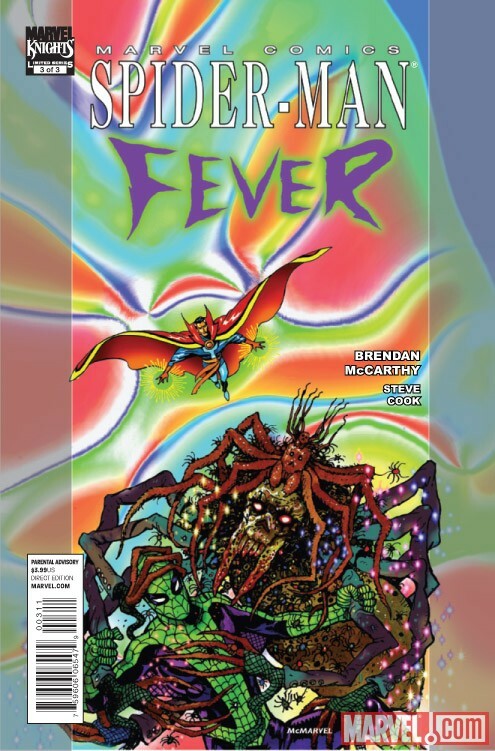 The story in this was kind of dull -- Spider-Man is abducted by spider-creatures into an astral plane kind of place, and Dr. Strange goes to rescue him. It sounds really cool, but so little happens -- there isn't much to the plot. Mostly it's an excuse for McCarthy to draw wigged-out psychedelic landscapes, with computery colors that seem at times to be the result of somebody just messing around with different features in Photoshop. Didn't hate it, but didn't love it either. 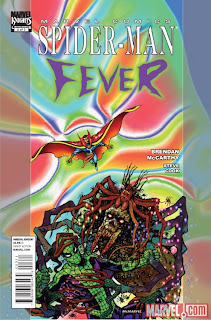 This mini-series was usually the last thing I would choose to read when going through a stack of new comics. And apparently, that was the last thing I wanted to write about tonight, too. Although I will say that The Return of Bruce Wayne has been fun so far, King City is still amazing, X-Women (the thing by Chris Claremont and Milo Manara) was pretty bad, and Abe Sapien: The Abyssal Plain was -- of course, this is Mignola we're talking about -- a good, solid story. And I just finished the third collection of Invincible Iron Man, another book written by Matt Fraction, and I really liked it.